The IPO will raise in between up to RM400 million. The proceed will be used to buy F&B business include dairy products, fruit juices, beverages, biscuits, cereals, confectionery items, canned foods and cooking ingredients, which are packed in containers, sold under a recognised brand name, and are ready to be consumed or ready to be cooked. The company targeting to acquire products that are halal, branded, packaged, processed and ready to be consumed located in Malaysia and the region. One-third of the IPO has been subscribed by cornerstone investors, namely Fortress Capital Asset Management (M) Sdn Bhd, Affin Hwang Asset Management Bhd, UOB Asset Management Bhd and Maybank Asset Management Sdn Bhd. 92% of the IPO proceeds (RM368 million) will be placed in a cash trust account (CTA) to acquire operating companies or assets in the branded packaged F&B business. The trust account managed by Maybank Trustees. The remaining 8% (RM32 million) will be used for listing expenses and for working capital. Red Sena remuneration is coming from capital injection by the promoter, which is about RM10 million for a 20% stake in the company. The warrants are tradable on listing date. The completion of the Qualifying Acquisition (QA) is within 3 years from the date of listing. If it fails to complete a QA within this time frame, the RM368 million placed in the CTA will be distributed to shareholders. Red Sena management team includes Tan Sri Richard Koh, Datuk Tan Ang Meng, Joseph Tan, Ian Yoong Kah Yin, Ismail Halim and Richard Ong. Ang Meng is F&N’s former CEO and will be the executive director of Red Sena. Joseph, who was formerly F&N’s chief financial officer (CFO), will be the CEO. Meanwhile, Ismail will be the CFO and Yoong will be the executive director of business development. Ismail was previously an executive director in biscuit company Khong Guan Enterprise Sdn Bhd, while Yoong was formerly senior vice-president for the retail broking division of CIMB Investment Bank Bhd. Upun QA, Red Sena’s key management is subject to a 36-month moratorium and an accumulated audited net profit of at least RM107 million. Red Sena will be the first F&B SPAC in Malaysia. RHB Investment Bank is the principal advisers, joint placement agent and joint underwriters. For those who are interested in Red Sena IPO, you may subscribed at ATM machines or via Internet Banking. The subscription period is opened until 27th November 2015 at 5pm. Tentative balloting date is on 1st December while allotment date is on 4th December 2015. 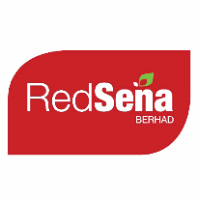 Red Sena Berhad stock name in Bursa Malaysia is “RSENA”. View Red Sena prospectus in Bursa Malaysia webpage. What do you think about Red Sena IPO? Are you going to subscribe?